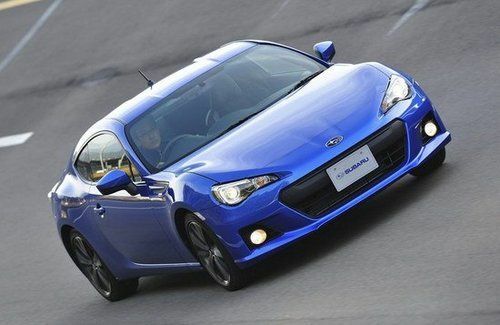 Subaru has given us a behind-the-scenes video of how they made the BRZ such a fun and affordable sports car. Every so often, a car comes along that is different from anything else out there, and the 2013 Subaru BRZ is one of those cars. It may not be the fastest or have the most powerful engine, but for those who appreciate a well designed and engineered car, you’re going to love this car. It might not look too impressive on paper, but once you see this video from Subaru, you can see why it’s a special car. Subaru set out to do something they have rarely done in the past, produce a rear-wheel-drive sports car and make it affordable for just about anyone. Subaru has been known for their legendary Symmetrical All-wheel-drive system and it's one of the best in the business. But building a rear-wheel-drive car is a departure from their recent lineup of cars. Subaru accomplished their goal of introducing the joy of driving to a new generation of enthusiasts, and to design a car with exceptional handling and great ride comfort, all at an affordable price. They started by taking their already proven opposed-four “boxer” engine, with a low center of gravity, which is the ideal thing if you are designing a sports car. And then they reduced the weight wherever possible which helped in the performance and handling. The Subaru 2.0-liter four is an all-new engine and features Toyota-sourced direct injection. The engine drives the rear wheels through a choice of two Aisin six-speed transmissions, one a manual, the other a conventional planetary automatic with manual actuation using steering wheel-mounted paddles. The transmission is the same one used in the Lexus IS 350. Front suspension is MacPherson strut, while the rear gets a complex multilink setup, with disc brakes on all four corners. While Subaru has heard from their customers that they would like a turbocharged version, it isn’t likely to happen anytime soon. But the Japanese automaker is listening and is working on a faster version. But the BRZ was designed from the ground up as a driver’s car, built to an affordable price point, and Subaru has certainly accomplished their objective. The videos put together by Subaru shows just how much effort and detail went into making the new sports car from Subaru. The Japanese automaker has put together 22 minutes of behind-the-scenes chats with the engineers who made the BRZ to show you how they did it, and how they designed all of the handling and safety features and still made it one of the sportiest cars to drive. Unfortunately, the video is in Japanese with English subtitles, but it's worth the extra effort. It's in two parts and you'll find both below.